2018 has been a big year for us. Last December, we launched the industries first and most robust B2B vendor search engine. Our goal was to make it simpler and faster for folks at banks, credit unions and mortgage companies to find vendor partners. Being a startup, the biggest question mark post launch was when will we get our first customer? We didn’t have to wait long. Just days after our press release hit, Professional Notary Services signed up. We appreciate Marcy Tiberio for believing in Vendor Surf. Since then we’ve added some of the great brands in the industry including, Zillow Group, Tena Companies, Agility360, LendingQB, 1st Choice Title Solutions, First Line Data, Spruce, and Total Expert, just to name a few. We started off 2018 with a few dozen users, and we are proud to say that we are now closing out the year with close to 12,000. 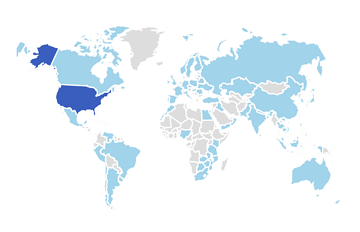 Today, Vendor Surf search traffic is active in over 89 countries throughout the world and our site page views have grown from a few hundred this time last year to nearly one-hundred thousand today. This month we were excited to kick off a new partnership with the National Associate of Mortgage Field Services (NAMFS). Through this partnership, we’ve committed to providing its member discounts on Vendor Surf listing packages. We are very are proud to be an industry solution for NAMFS members. We were extremely excited to add Anne Garcia McCullough to the Vendor Surf team as Head of Sales this month. Anne has exactly what we need: passion, determination and a skillset that complements the existing team. We sense big things to come as Anne hits her stride. It's not just about helping vendors get discovered, and it's not just about enabling searchers to find new vendors. It's about making a users experience with Vendor Surf one that is interconnected, efficient, and frictionless, while also addressing a growing problem for businesses: complex sourcing, contracting and set up processes. According to our research, both sides of the vendor relationship, the buyer and the provider, waste significant amounts of time because of inefficient RFP, contracting and due diligence processes. So we are working to fix that. As we wrap up our first amazing year at Vendor Surf, Scott and I want to thank our searchers and customers for supporting us in 2018. Our progress, our innovations, and our achievements from the past year couldn’t have been possible without you, and we’ll let them serve as motivation for the new year and beyond. Thank you. Thank you. Thank you.